is located at 830x385 near Court Temple. While she fails to explain what is she doing there, she is quite happy to go on about her dislike towards the Jobe Scientists and Yuttos wandering around. Her reasoning appears quite thin, but at least they don't include you! Laila has two small quests for you. The credit and XP reward is small but the task really is not that hard ... although it does include a lot of traveling. Once you tag all the Yuttos, return to Laila for reward. Once you tag all scientists, return to Laila for reward. 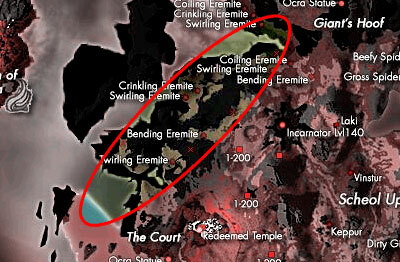 is located near the portal in Scheol which heads back to Elysium, her coordinates are 1220 x 110. Dana is a musician and as such has very few IP to spend in fighting skills. However, since you decided to drop by, you can help her out. Since last two mobs are a Heckler and a Horror, even level 150 characters may have a hard time completing this quest in one piece. 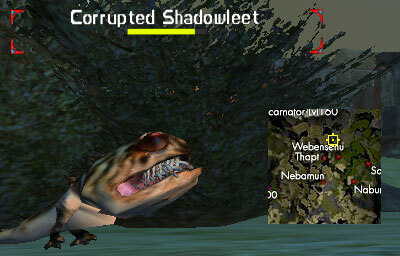 For each creature you'll have 7 hours time to locate it and will be awarded with 5000 credits and same amount of xp. If you decide to use different phrase, namely "Hey there, how are you?quot;, she will send you on a kill mision. This time you should kill 5 Graizing beits, 5 Boulder Rafters and 5 Kolaana-Kans. 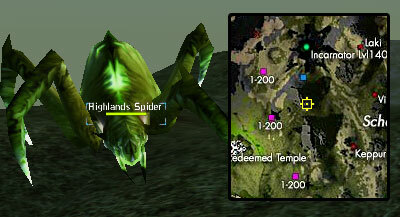 You will have 3 days to kill each of those types of mobs, of course in the order stated in the mission. When you return to Dana, she will pay you with 15k credits and give the same amount of xp. 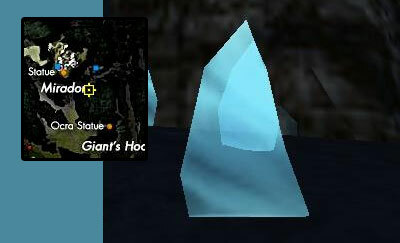 is located at 1180 x 1240 near Giant's Hoof. It's emabarassing for a Courier to get stuck, but that's exactly what happened to Tessa. 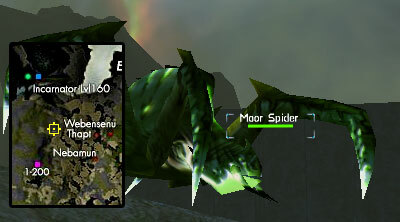 Too little time to finish her job and too many aggressive mobs around her. If you decide to help her with delivering one of her packages. she will give you a Courier Letter to deliver to Laila and return with receipt. Unfortunatly, Laila holds a grudge towards Tessa, so you need to do a favor for her, before she hands you recept. Laila sends you to kill 9 Shadowleets. 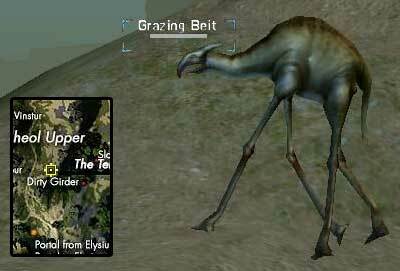 Since they are usually hiding, she provides you with map waypoint as well. You have 3 days for this task and it will reward you with 10k credits and xp. Once you have killed 9 Shadowleets, you need to return to Laila for theCourier Letter Receipt and then deliver it to Tessa. You'll only have 10 hours to do this and the reward will be 40k credits and xp. Since she's so scared of them, Tessa wants you to go kill some spiders. In particular she wants you to kill 3 Moor Spiders, 3 Highlands Spiders and 3 Canyon Spiders. After third kill of each type (in order.. obviously! 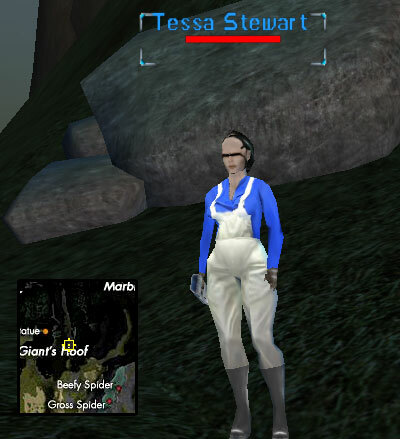 ), a Spider Egg Sac will spawn in your inventory, so you have proof of your deeds when you return to Tessa with all 3 of them to claim 50k credits and xp. As you can see on the map below, Karl is located near the Portal to Upper Scheol. Karl is an awfully busy guy, and he could use a hand. Unlike the rest of bunch, he doesn't need any creature tagged or killed, at least not in theory. His girlfriend's birthday is soon and since he wants to give her something personal, he wants a necklace made out of Jet and Amber. He will hand you an Empty Necklace Fitting and send you on your way. Since you need at least ql 100 Jet and Amber and they don't grow on trees, you'll have to kill couple of monster type mobs to secure them. Once you have the gems, you can fit them into necklace (pick up Necklace and r-click on gems). PLEASE NOTE :: There is a problem with this quest - it does not update once you have fitted gems. So you cannot finish it. Karl's second task for us is to go and find an un-named mineral rich rock. Karl will hand you Rock Sampler and send you on your way. Once you target the rock, quest will update to a return one. But don't forget to pick up 4 Mineral Samples while you're there (pick up Sampler and r-click on rocks)! You will get 40k credits and xp for this. 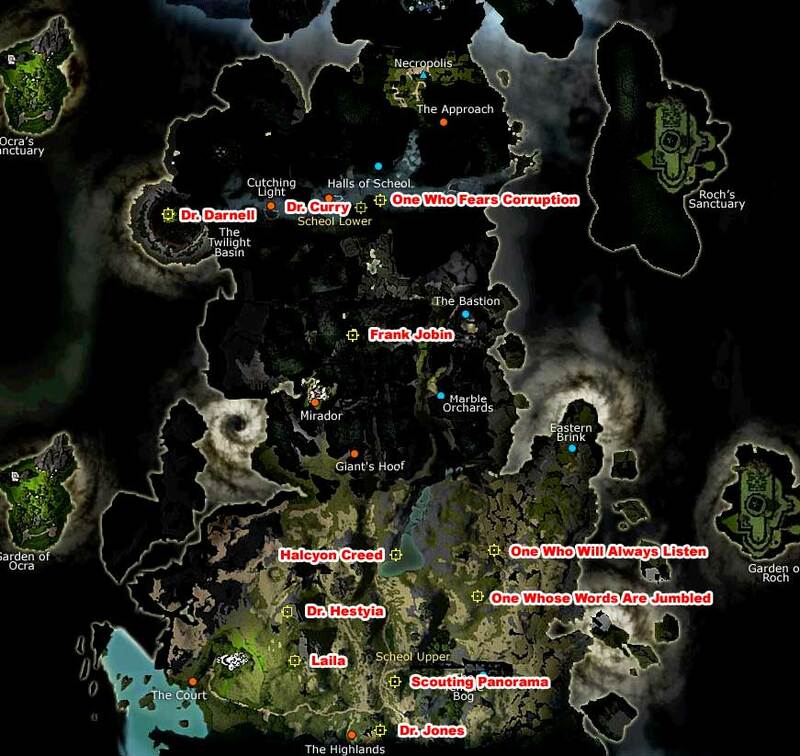 is located at the 160 Incarnator as you can see on the map below at coordinates 1500 x 1270. Bob has done some nasty things in his past. So while the sense of sight was taken away from him, he's still tormented by memories and nightmares. Yet he's sure you can still help him. 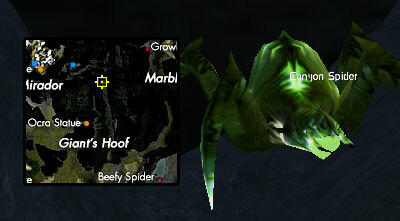 Bob will ask you to kill 2 Voracious Horrors sometime in next 3 days. Those are located all around the Lower Scheol Brink, right alongside Hecklers. They are also one of thoughest mobs in Scheol, so it might just be a good idea to bring a full team of help along (Or team a higher level char. You won't get xp for kills, but quest will update all the same). Once that is done, you'll have 10 hours to return to Bob to claim 75k xp and credits. 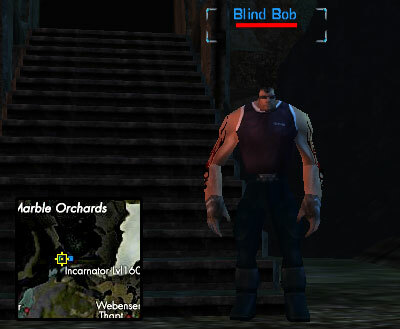 Blind Bob is sure that some of the his victims still hang around Scheol. 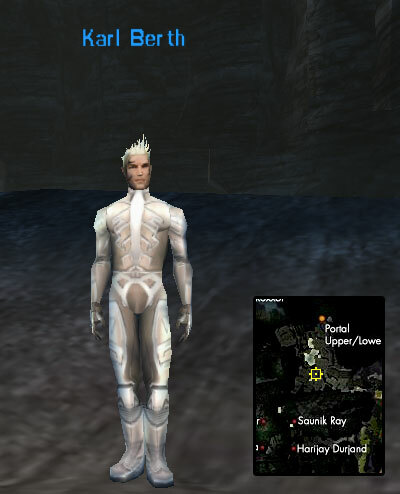 So he wants you to travel to area around Ergo cave and kill 7 Pained spirits for him. Since spirits have social agro and that place is packed with them, again it might be a good idea to bring a team to help you with this task. Additional Information provided by Uragon and Ukblizzard.